Lois Red Elk tells us it's been a hot summer on the prairie and one marked by the passing of people close to her. So it is appropriate that she is thinking of heh'aka, known better to those speaking English as elk. Indeed, with bulls starting to bugle in September and scattered bands of mothers and calves regrouping and eventually preparing for treks to escape coming snow in the high country, many westerners equate fall with these graceful ungulates. "The two poems I'm submitting are from a cultural belief about the power of Elk medicine. It is believed that the bull elk is brave and protects the herd, more so than the buffalo," Lois writes. 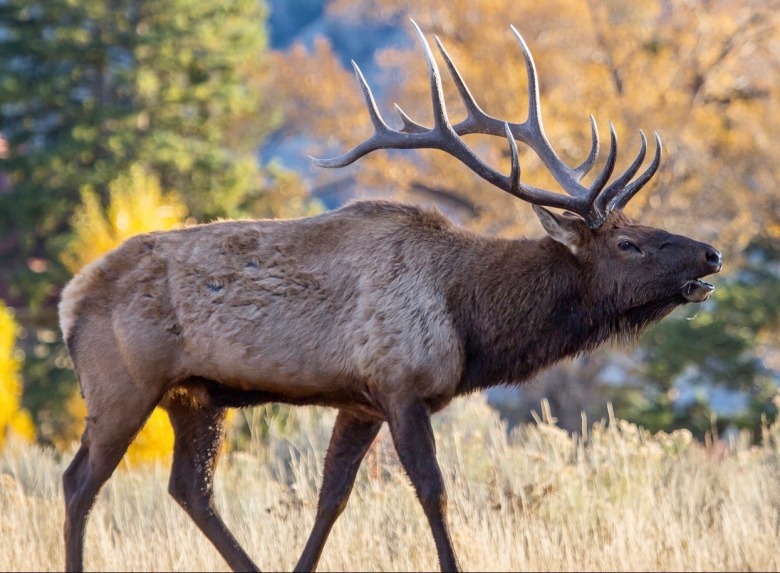 "Elk medicine has more to do with the healing and protection of the heart and emotions." She says that her great grandfather was an Elk Dreamer, and had a very vivid dream of the elk and the Elk Medicine. "Although the dream was very different, the essence I try to convey in my poem has the same startling appearance into the dream of the dreamer and the message is one of healing. Healing both the heart and emotions," she says. Little known to many non-indigenous Montanans, the Yellowstone River was known to the Lakota/Dakota as Elk River. " Of course our name came first. We called it HeH'aka Wakpa (Elk River) because the elk used the river as a trail map to and from the area recognized today as Yellowstone Park," she explains. "My great grandparents would watch the elk migrate along the river, rest in the woods and drink from the river." Yes, although Yellowstone as America's mother national park may be the country's oldest grand nature preserve dating to 1872, the lands inside it had a different name and context going back a long, long time and never identified in writing. Lois' extended family has several adventure stories about encounters with elk—reverential stories passed down and imbued with meaning. Whenever she travels along the watercourse, she says, "It is known to us that certain sounds coming off the river echo the same songs of the elk's shrill whistle." 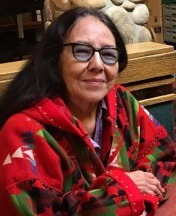 Her poem "Heh'aka Wakpa" is from the book titled Dragonfly Weather (Lost Horse Press, 2013) and "His Heh'aka Medicine" is new, revealed to the world here for the first time. for the axis of winter’s pull. the fluid melody of elk songs. restful places of our dreams. the next rotation of earth. A dream woke him in the middle of a star storm where answers were coming and doubt was descending. Heh’aka, horns, like a giant tree branch swaying in and out of the bedroom setting ignited into motion where curtains were torn apart, garments scattered, hair tossed, and shawls of 4 different colors flew into the atmosphere. He woke, startled, to the original song told by grandfather, a song subtracted of words. Only motion, images and sounds entered the light, sounds like the braking of stars entering his atmosphere, songs that whistled in shades of wind, water, fire and always Maka, the earth when she inhales and exhales her accompaniment. The story shaped his mind into the four colors and four directions shown by the shawls of the same. He arose from his bed onto hoofed feet and began to dance uncontrollably, lifting each hoof into a well of water, he shook his head and his antlers began to blaze with the stars, he stomped and Maka motioned his movement toward patches of purple flowers, he opened his mouth to ask and a trumpeting like a shrill whistle heralded the arrival to his vision. His image grew into the hearts of all those who could see and hear in their dream time, dreams of passion and healing. 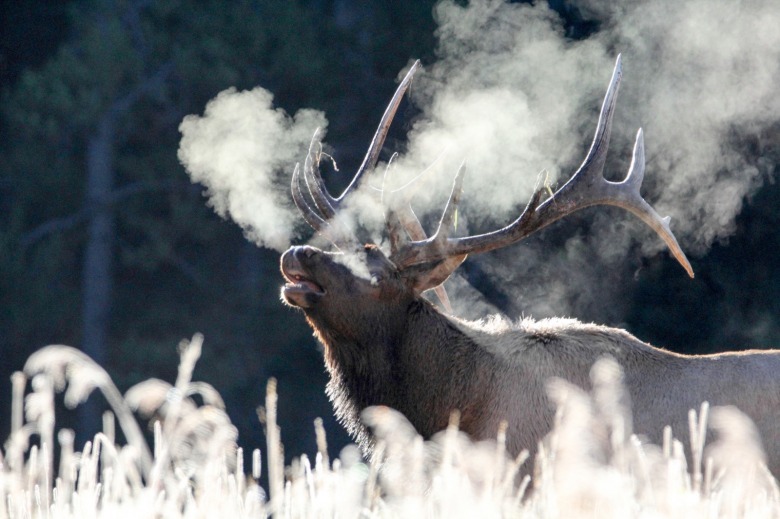 His Elk voice was an invitation, and the aroma of his breath was a welcoming of flowers that flared his path. His Elk Medicine shaped into a bundle of love and healing. All from the 4 directions who can dream understand, all who awake into resistance are charmed into irresistible belief. When you hear the whistle and an aroma of flowers drift into your heart, you will know healing. 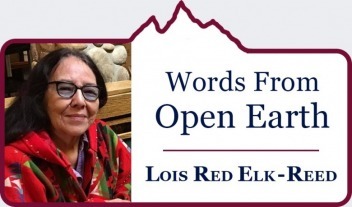 Lois Red Elk-Reed is a poet who calls the high plains home. She is Mountain Journal's poet in residence.